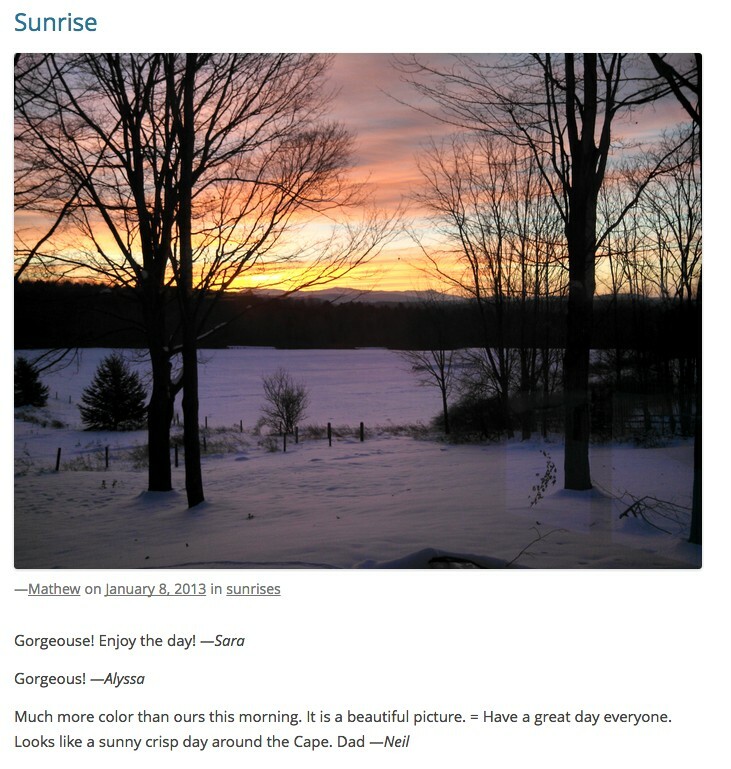 My family sends around sunrise and sunset photos via email. I built a WordPress plugin that fetches and parses those emails and converts them into Wordress posts maintaining threaded conversations by converting all replies to comments on the original post. Also with a custom WordPress theme. On Github.